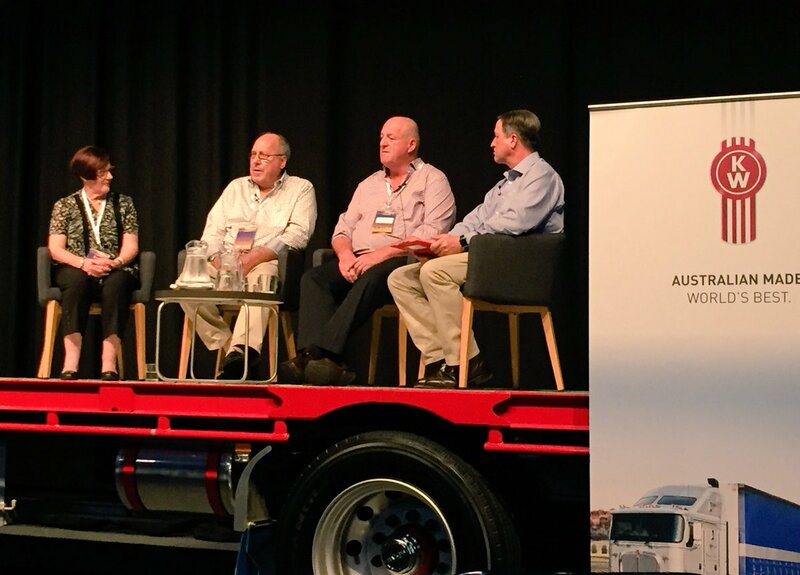 Over the years we have had the pleasure of hosting the luncheon as some of our industry’s great characters have shared their stories; we discuss the good times and the bad, the battles of starting a transport business, keeping it going and just how much things have changed along the way. We talk about obstacles to success, the sacrifices, the rewards and some of the other great people we’ve met along the way. We also like to talk about our hopes for the future. The Kenworth legends are all people who have, like the Kenworth brand, shown inspirational strength, perseverance and success. The Kenworth story began in Oregon in the United States in 1915, when a powerful and tough truck was built for the logging industry. When Edward Worthington and Frederick Kent took over the company in 1923, the Kenworth brand was created, taking its name from the first few letters from their surnames.The first Kenworths were fully imported into Australia in 1962 and two years later, Jack Hurley and Alan Brown were on the ball and became Australia’s first Kenworth dealers. PACCAR registered Kenworth Motor Trucks in Australia in 1966. The Bayswater plant opened in 1970 and a year later, the first Australian built, cab-over Kenworth rolled out of the factory.